‘’We hope that by working in partnership with TSA we will help deter theft of survey equipment. 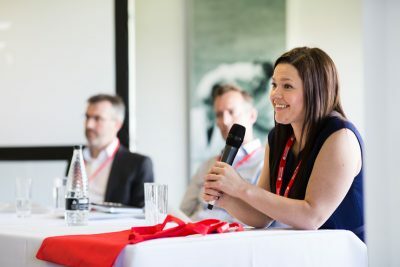 Promoting the importance of crime reporting allows us to geographically risk- assess areas of high crime, liaise with the police, where appropriate, and make informed recommendations to Members.’’ Rachael Oakley, Senior Analyst, SmartWater Technology. Security products and crime reduction specialist, SmartWater Technology joined as a Supplier Member, following a TSA-led initiative to tackle the growing problem of equipment theft in the survey industry. A three-year agreement between TSA and SmartWater, sponsored by the leading manufacturers, has brought the impact of crime on survey companies to the attention of the police at the highest levels and the Home Office. Every incident submitted to SmartWater’s dedicated Intelligence Portal receives detailed analysis and TSA is now calling on the wider survey industry to also report equipment theft. ‘’We are asking TSA Members, non-TSA Members and their contacts to report every incident of equipment theft in as much detail as possible. The industry’s first co-ordinated response to equipment theft was highlighted at TSA’s workshop event at GEOBusiness, attended by Supt. Tom Harding and Senior Intelligence Officer with SmartWater, Rachael Oakley. Supplier Membership has already played a part in the recovery of an instrument hired from Speedy Asset Services. Speedy is the UK’s leading tools and equipment hire company, operating in the construction, infrastructure, industrial, utilities, events and facilities management markets. Speedy has more than 200 locations nationwide, as well as operations in the Middle East and Kazakhstan. Affiliate Member, Gladman Developments Ltd, is a privately owned, innovative business operating in a range of property sectors. With over 25 years’ experience in obtaining planning permissions, they are the UK’s most successful land promoter. The next TSA Conference takes place at Holdenby House, Northamptonshire, on 7 November 2018, when the theme will be Surveying Iconic Structures. Members will be invited to register closer to the date. See www.tsa-uk.org.uk/events/ for details of all forthcoming TSA events. Would you like your company to be featured on the TSA blog? You can get involved with our campaign to highlight our Member companies and what they do – whether you’ve been in Membership for years or have just joined.